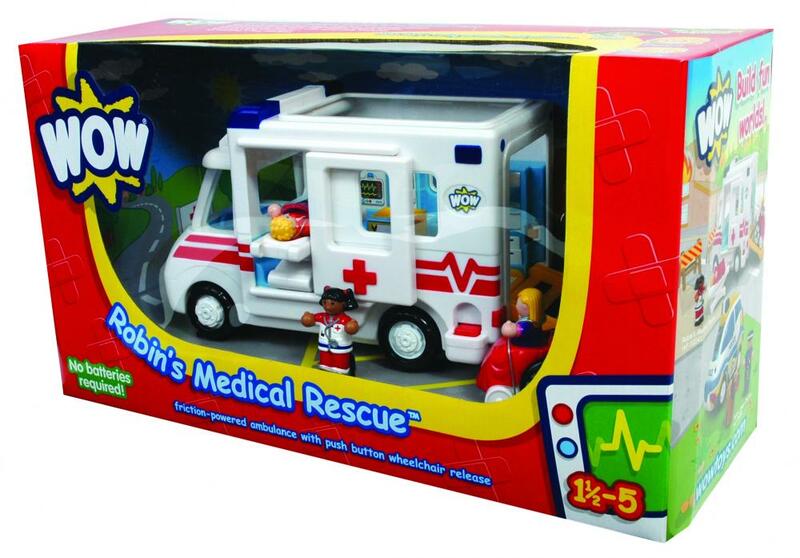 Robin’s Medical Rescue - WOW Toys ambulance set. 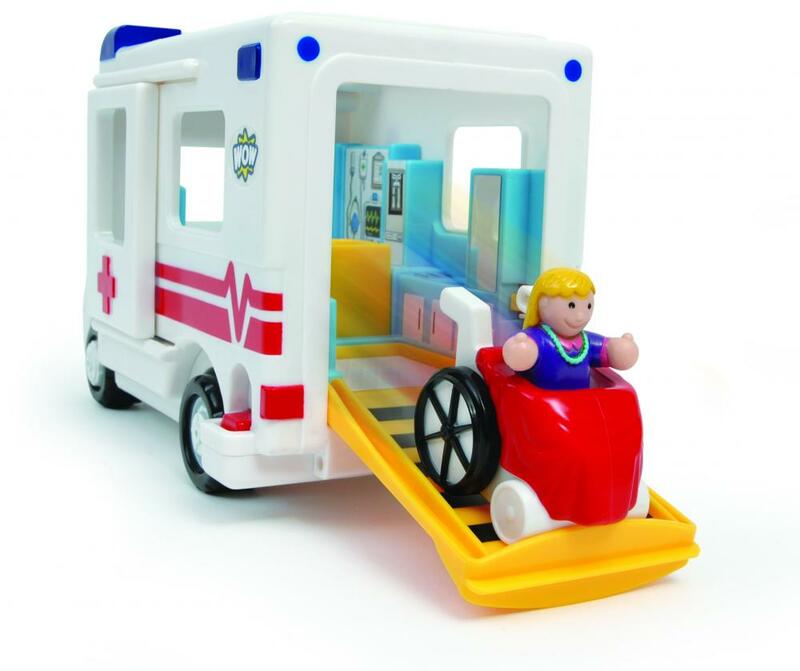 Robin’s Medical Rescue – WOW Toys Friction powered ambulance with push button wheelchair release. Neeenaw neeenaw Robin to the rescue! Robin is a speedy ambulance ready for any emergency with a powerful friction motor & realistic engine sounds. Open his clicking side door to remove a comfy stretcher the perfect fit to make better any injured figures. Paramedic Nina cleverly opens the back ramp & the push button automatically releases the wheelchair…whoosh! Push figures down on the amazing ‘working’ X-ray machine to see what’s wrong. 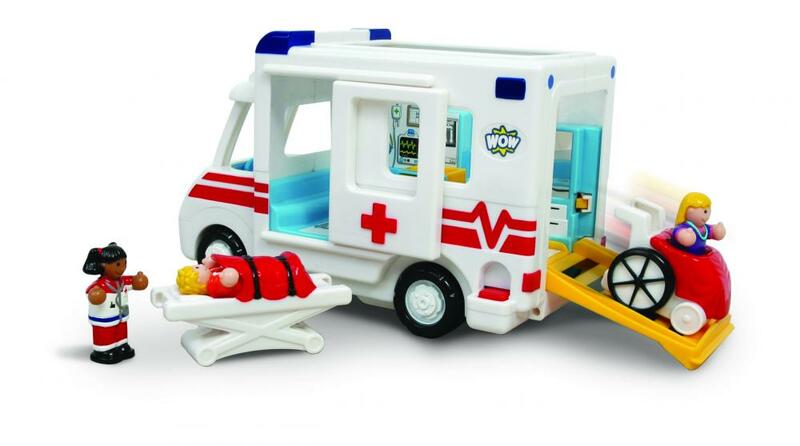 A paramedic mother & boy figure complete this set the ideal way to introduce real themes in a fun fashion to any pre-school boy or girl. WOW introduces themes from real life into the home from helicopters to tractors police cars to diggers & boats to ambulances. Every toy helps children make sense of the world around them through imaginative play. WOW is highly collectable as children can mix & match the range to build fun worlds. The toys are designed to work together & all the figures can be used in any toy. WOW toys are packed with exciting features to discover & no batteries are required so the fun never ends. WOW toys are a favourite not only with preschool children but also with mums playgroups & nurseries too.